James Connew needs no introduction to the wider NZ CrossFit Community. James is one of the top male individual Athletes in the Australia Pacific Region, a Reebok and Again Faster Ambassador, CrossFit Level 1 trainer and a proud hometown Hamilton boy. 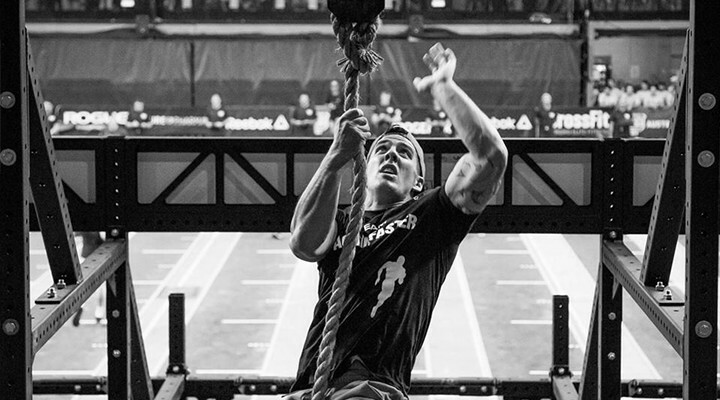 James is a 2 time Pacific Regional athlete with a career top 4th place finish only narrowly missing out on punching his ticket to The 2015 Reebok CrossFit Games (which is the pinnacle of competitive CrossFit). Being a top level athlete hasn’t always been the case for James. Prior to finding CrossFit James smoked a pack-a- day, was a heavy drinker and had been an asthmatic since childhood. After a serious health scare James decided to claim his health back. He was introduced to CrossFit by his brother in-law over 5 years ago and has never looked back. In 2015 James was crowned the title of 'The Fittest Man' in New Zealand. He is a living breathing example of how hard work, dedication through CrossFit can change your life no matter where you start. James not only brings his top level competition experience and skill set to the CrossFit 3216 floor but also his enthusiasm for teaching and helping others through their own journey to the top by developing strong CrossFit foundations. We’re very honored to have James and his wife Rebecca as part of the coaching staff at CrossFit 3216.